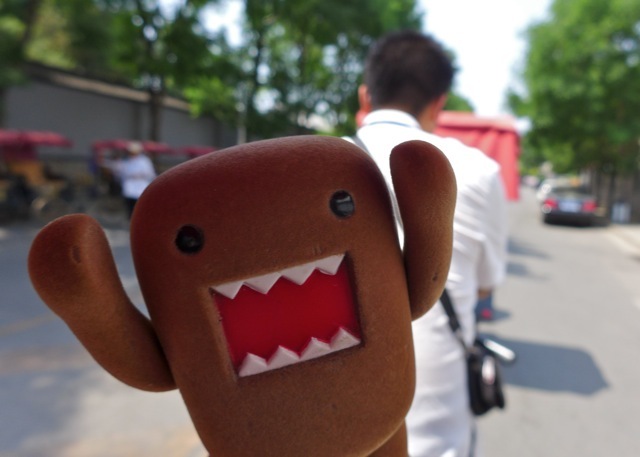 Domo and Pipkin had done a lot of walking around Beijing and decided to give their feet a rest, so they took a pedicab tour of one of Beijing's remaining hutongs. 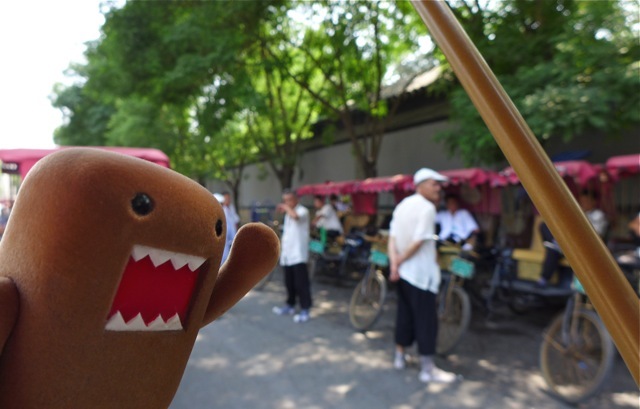 Hutong is the name given to narrow streets or alleys that are made up of traditional courtyard homes. 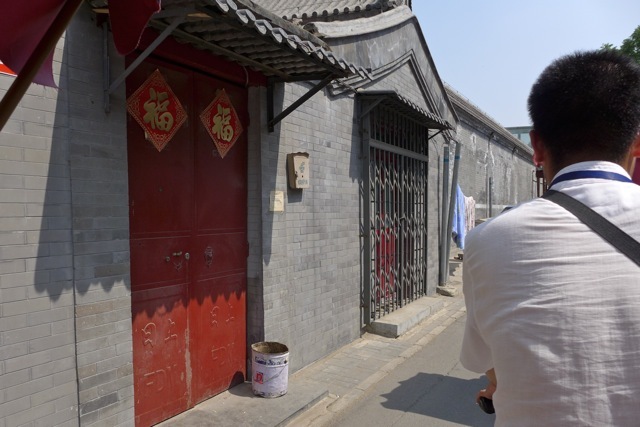 These old neighborhoods were commonly found in northern Chinese cities, but are rapidly disappearing today. 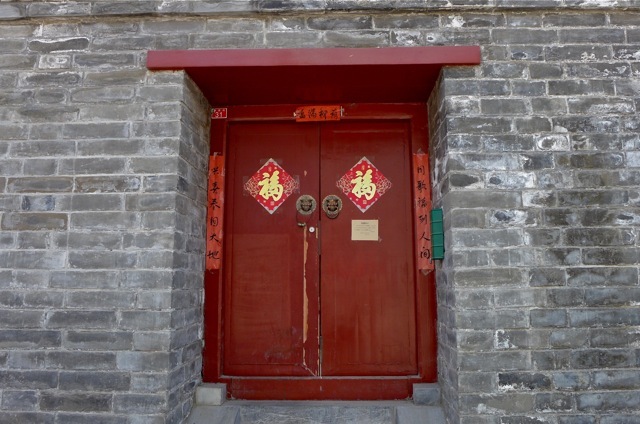 This hutong, in the Shichahai Lake district of Beijing, is a mixture of old traditional courtyard homes, and new two and three storey apartment buildings. Much like the French Quarter in New Orleans, what you'll see from the street is actually the back of people's houses. 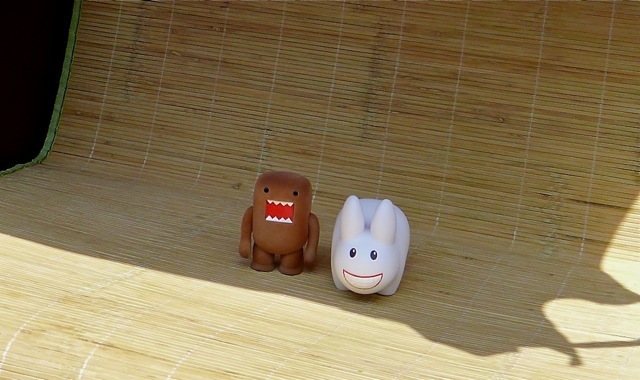 The more interesting side is kept private. In the photo above, you see where old has been renewed, and the new new is a sign of the new Beijing taking over the old. 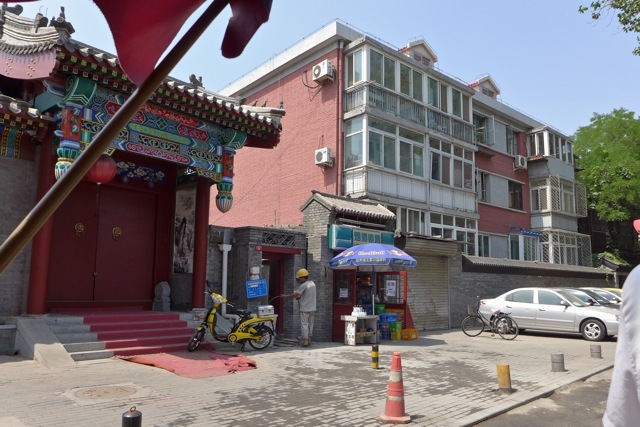 This hutong is a mix of residential and business. 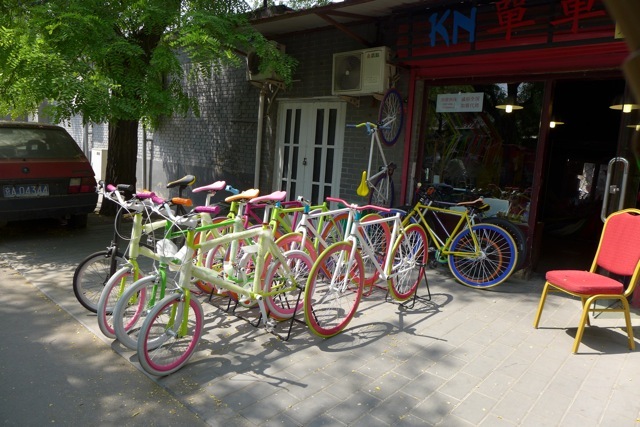 You'll find restaurants, temples, sports schools, tea shops, and even a bike shop. 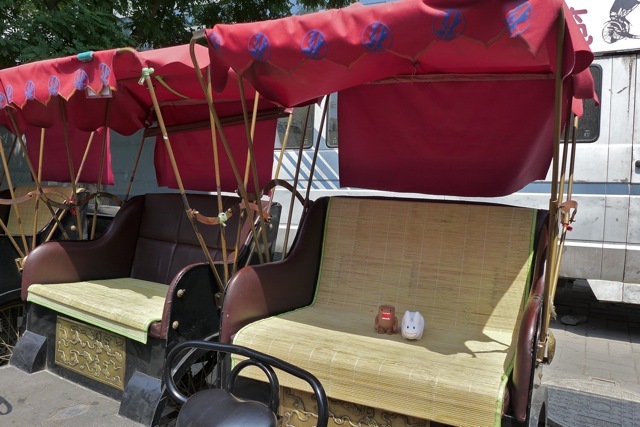 Pipkin thought of Masher McBuns when he snapped the pic of the colourful bikes above. 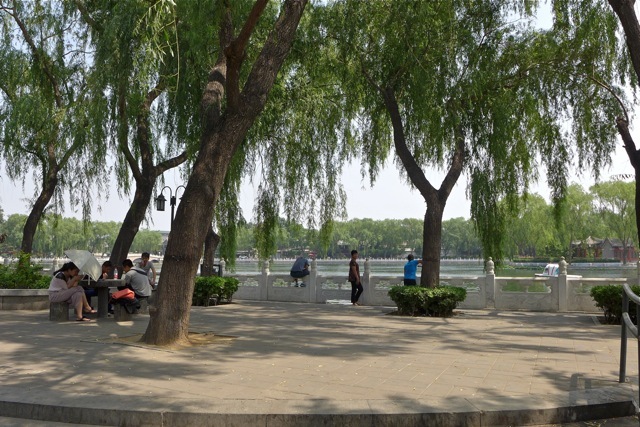 There are also beautiful willow trees along the water, and space for people to sit in the shade. 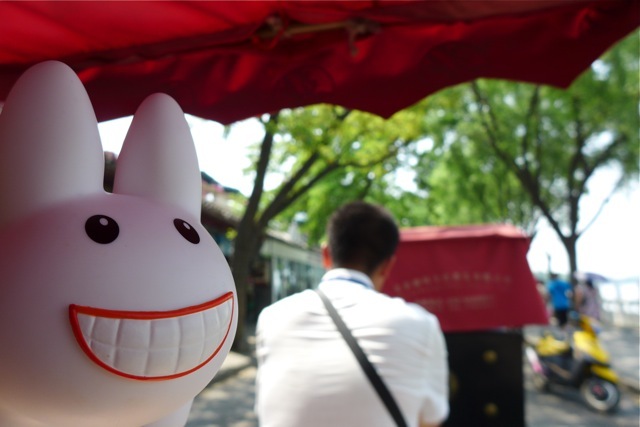 While the pedicab tour was a nice way to relax and travel through all the streets in the hutong, Pipkin and Domo recommend spending time in the hutong walking by foot. Pedicabs won't take you into some of the courtyards, and they whizz by too fast for you to take in all the different architecture styles. Plus - there's lots of food to be eaten!